Discover the Belarusian capital of Minsk. Located in the heart of the country, it has a population of 2 million inhabitants and is the political and cultural centre of Belarus. During your five day trip you will also explore other architectural and cultural highlights in the surroundings. Today you will begin your journey to Minsk. You will be picked up at the airport by your English-speaking tour guide. After checking in at your hotel, your guide will accompany you on an evening stroll around the city. This will be followed by an evening meal in a typical Belarusian restaurant, before visiting the Belarusian National Library where you will have a superb view of the night lights of Minsk from the roof-top. You will be able to discuss the programme for the next few days together with your tour guide. Today you will learn more about the turbulent history of the country and Minsk, the Belarusian capital. Your guide will collect you from your hotel after breakfast and together you will go on a walk around town to see the sights. Your journey through time will start at the first stone church (10th/11th century) and will continue to the Orthodox and Catholic churches built between the 13th and 17th century in the old town centre. In the Troitskoye district you will be able to imagine what Minsk looked like in the 19th century. The town was almost completely destroyed during the Second World War and is still considered today to be a prime example of socialist realism. Unlike the cities of Moscow or Kiev, the entire city centre represents a harmonious ensemble in the gingerbread style of the Stalinist period, the likes of which can be found nowhere else in the world. The opera house, circus, Victory Square, main post office, GUM (state-owned department store) the building of the Ministry of State Security (alias KGB in Soviet times) the government buildings and many more, all bear imposing testimony to this style. They are all located on Independence Avenue, which constitutes the main hub of the city with its four large squares and adjoining parks. From there it is not far to one of the largest and most beautiful parks in the city: Victory Park. While wandering through the park you will see the pompous, newly-erected Museum of the Great Patriotic War (Russian term for the Second World War) on the south side of the park and on the north side the new residence of the Belarusian president, which is equally as impressive. Following this eventful tour you will have lunch in a typical Soviet-style canteen (Russian: stolovaya), which is an experience in itself! After lunch, you will see more interesting places in the city and glean an insight into how most of the Minsk population live, while driving through the suburbs. You will be able to take a closer look at the working-class district around the Minsk Tractor Works. It was built around the industrial complex in typical Stalinist style after the war and has barely been altered from an architectural point of view up to the present. Once, the state-owned tractor plant was the largest employer in the city, with a workforce of 40,000. Today it employs around 20,000 people. As of late afternoon you can explore the town on your own and your guide can give you further tips, according to your interests. In the evening you might like to visit the State Opera, the ballet or a concert. We would be happy to arrange tickets for you, depending on the programme. Today we shall go on a day trip to two UNESCO heritage sites, Mir and Nyasvizh. Your tour guide will collect you from your hotel after breakfast and you will set off in a south-westerly direction. The first stop is the picturesque little town of Mir, about 110 km from Minsk in the Grodno region. This used to be a typical Jewish shtetl and is home to one of the most beautiful castles in the country. It was erected at the beginning of the 16th century as a fortified castle. For the most part it belonged to the Radziwill family. The castle is the last Gothic structure to the east of Europe and the only remaining example of unspoilt Belarusian Gothic architecture. In the summer many concerts and festivals are held in and around the castle and if you are lucky, you may have the opportunity of discovering Belarusian modern art and culture here. 30 kilometres farther south there is another family residence of the Radziwills, in Nyasvizh. Together with the local Catholic church Nyasvizh Castle forms a complex which is a UNESCO World Heritage site. Nyasvizh is undoubtedly one of the most beautiful little towns in the country. The castle is well worth visiting in order to find out more about the history of Belarus in the Middle Ages. Take a stroll through the landscaped parkland around the castle and then go to the time-honoured restaurant at the town hall and indulge in a hearty Belarusian meal. Last not least, wander through the town and take a look at the market square. In the evening you will return to Minsk. The fourth day can be planned individually: choose what interests you most. If you are interested in more than one option, you can easily extend your stay by one or two days. After breakfast you will drive with your guide to the woods directly next to the Minsk ring road, to Kurapaty, which is a place of remembrance for the atrocities committed during the Stalin era in Belarus. It is estimated that about 250,000 people were murdered here by the Soviet secret service NKVD between 1937 and 1941. After this, you will continue your journey towards the airport. About halfway there you will see a man-made hill, one of the highest elevations in Belarus. This is Kurgan Slavy, a memorial hill, whose monumental structures commemorate the horrors of the year 1944. This is where one of the last major battles between the Red Army and the Wehrmacht took place at the end of the war, in the so-called Minsk cauldron, leading to the final retreat of the German troops from Belarus. 70,000 German troops died in the course of the battle and 35,000 were taken prisoner. Your guide will tell you more about the liberation of Belarus in 1944 once you have climbed to the top of the hill. From here the journey continues 60 km northwards to another impressive monument. Khatyn lies just off the main road to Vitebsk (not to be confused with Katyn in Russia, where the NKVD had a thousand Polish officers killed during the Second World War), in the middle of the woods. It is symbolic of 5295 other villages which the German Wehrmacht razed to the ground during the war. 186 of these villages were burnt down along with all the villagers, just like Khatyn. The monument by the well-known architect Leonid Levin was inaugurated in 1969, after his death. On the way back to Minsk you will have a meal in a typical Belarusian village restaurant, where you can choose from various types of kebab and typical Belarusian beverages (kvass, medovukha). If you wish, you can visit the Stalin Line in the late afternoon. This is a museum containing all kinds of war apparatus and – something which may seem a little strange to western visitors – you can have a ride in a tank and shoot with kalashnikovs. Return to Minsk in the evening. This excursion enables you to gain an insight into former Jewish life in Minsk. Your tour guide will take you to a former ghetto in the town, to an impressive monument to the holocaust and to a former Jewish cemetery. After this you will visit the Historical Workshop in Minsk, which was founded as a joint Belarusian-German project in 2002. The main objective of the Historical Workshop is to provide survivors of the national socialist dictatorship with support. It is to be found in a historic building in the former Minsk ghetto and houses an interesting exhibition on the subject of the holocaust in Belarus. On leaving the Historical Workshop, you will meet up with Andrei Ivanovitch, a survivor of the concentration camp in Buchenwald. The sprightly 93 year old pensioner will give you an insight into his tragic life and is ready to answer your questions. This excursion will take about half a day. The remainder of the day is free for you to do as you wish. Today you can make a visit to the Dudutki open air museum, to familiarise yourself with Belarusian folk culture. 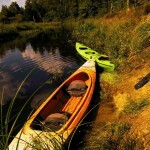 It is located about 60 km south-west of Minsk in idyllic surroundings. The State Museum of Vernacular Architecture and Ethnic Heritage spreads over an area of more than 150 hectares and presents architectural and cultural monuments in an authentic setting. Here you will learn about country life in Belarus of the 17th to 19th century. Houses, works of art and other artefacts have been assembled here from all over Belarus. In combination with each other they convey a striking picture of how hard life and work were for the peasant population over the centuries. There are demonstrations of traditional handcrafts, some of which you can try out yourself. You can do a tour round the museum in a horse and cart and in summer the museum and the surrounding picturesque countryside are visible from above in a light aircraft. You will go to the “kartchma” (in English: inn) for lunch and embark on a culinary journey into the 19th century. You can round off the meal with a glass of samogon (moonshine), which is specially distilled on the premises. You will return to Minsk in the early evening. Today you will leave Belarus. Before your tour guide takes you to the airport, you will have time to buy some typical Belarusian souvenirs for your loved ones, or just wander around Minsk for the last time. Of course, you can always extend your stay and discover other exciting places in Belarus. We would be more than happy to help you.